Edition of 100 with a photo cover. 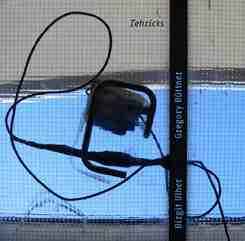 Gregory Büttner plays sounds from a computer through various small speakers, which Birgit Ulher uses as mutes for her trumpet. This way the trumpet sounds and the electroacoustic sounds are modulated by the acoustic resonance chamber of the trumpet. The trumpet is simultaneously a transmitter and a receiver.